Download the brochure and booking form. We stay four nights on a half board basis at the 3* George Hotel in Norwich (www.bestwestern.co.uk). 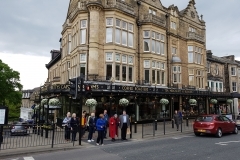 Located a fifteen minute walk from the centre of Norwich, facilities at the hotel include a restaurant and bar. 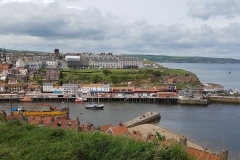 All rooms are en suite and feature telephone, television, hairdryer, and tea & coffee making facilities. Price based on twin share. Minimum numbers required. Normal booking conditions apply. 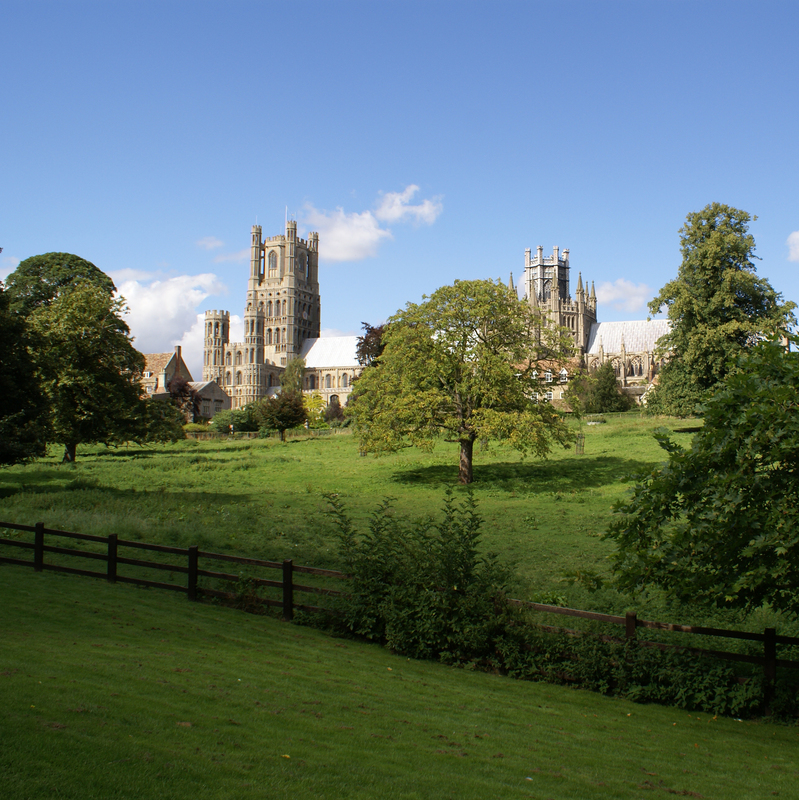 We depart by executive coach from our designated pick up point in Hersham and en route to our hotel we visit Ely Cathedral, known locally as ‘The Ship of the Fens’ and internationally famous for its Octagon and Lantern Towers. On arrival in Norwich we check in at the 3* George Hotel for a four night stay on a half board basis. Our Blue Badge guide meets us at our hotel this morning and accompanies us throughout the day. 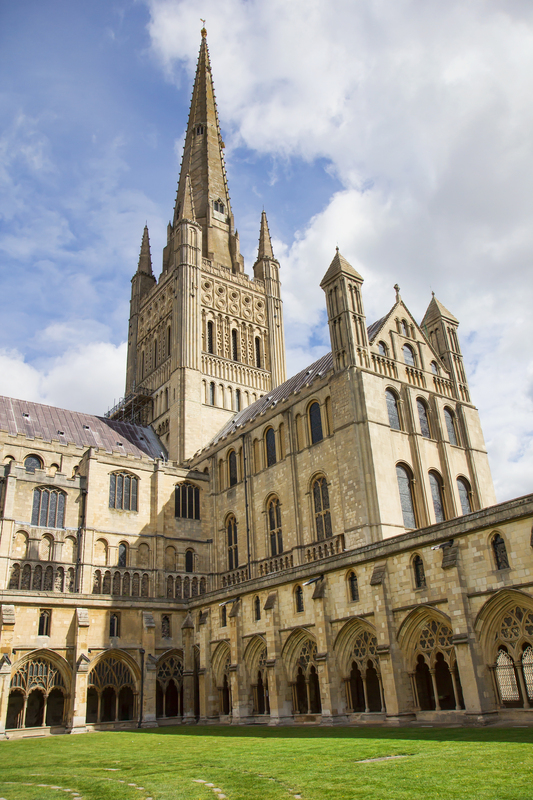 In the morning we enjoy a guided tour of Norwich, England’s best preserved medieval city, and our tour takes us to sights such as the Norman castle and the City Hall. 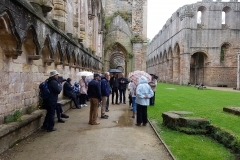 Our tour also includes a visit to the Norman cathedral, one of the finest in England with its magnificent cloisters and Cathedral Close. On arrival at Wroxham this afternoon we enjoy an included cruise on the Norfolk Broads. 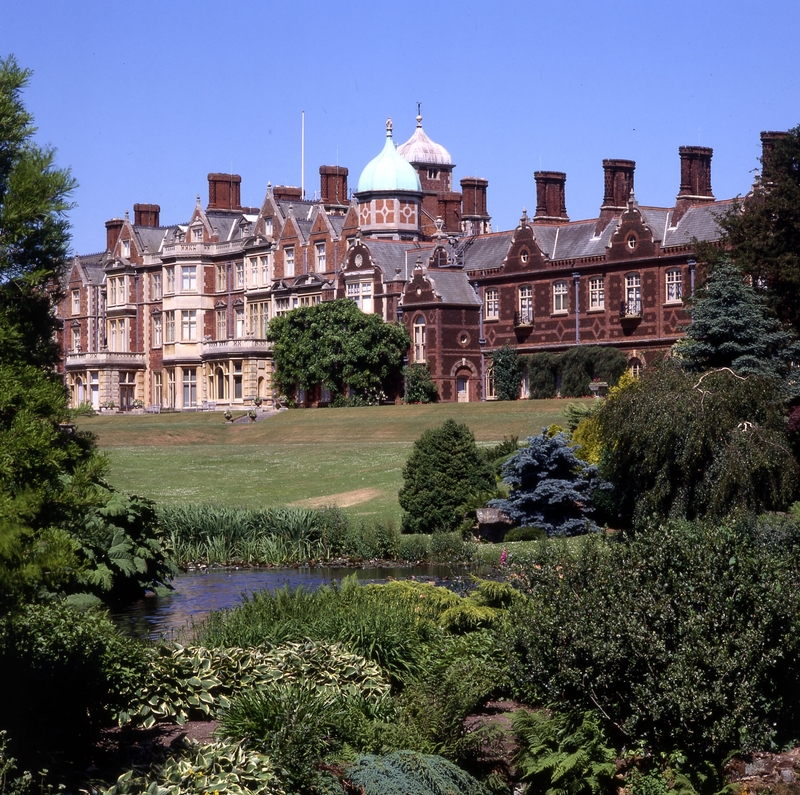 With our Blue Badge guide this morning we visit the Sandringham Estate, the much loved country retreat of Her Majesty the Queen, set in 60 acres of splendid gardens. 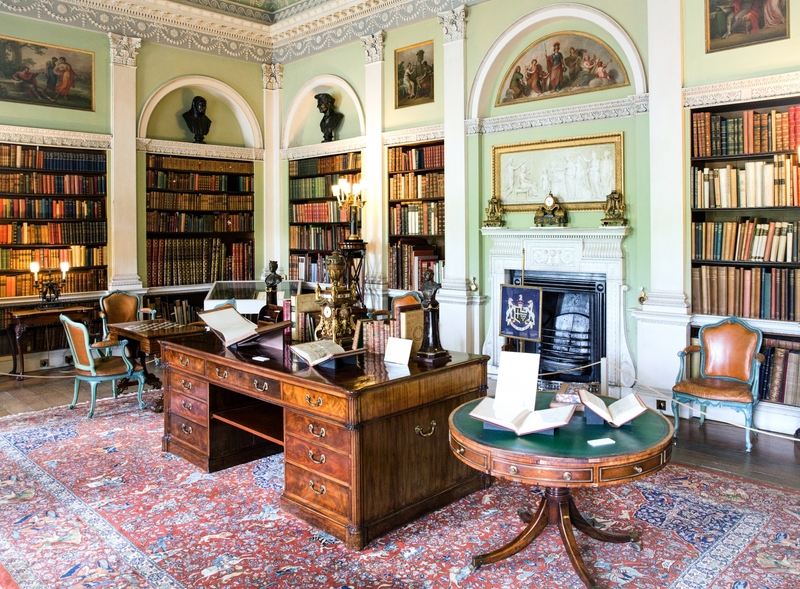 Built for Edward VII in 1870 the property was once described as ‘Britain’s most comfortable house’ and its museum houses extraordinary collections of royal vehicles, rare ceramics, photographs and memorabilia. The east front of Oxburgh Hall seen in the summer across the parterre planted with colourful flowers. Photographed in August. In the afternoon we visit the National Trust’s Oxburgh Hall, a moated manor house with a Tudor gatehouse and accessible Priest’s Hole. 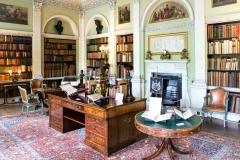 Built by the Bedingfeld family who still live here, the rooms show the development from medieval austerity to Victorian comfort and include a display of embroidery by Mary Queen of Scots and Bess of Hardwick. View across the Parterre garden at Blickling with topiary towards the East Front. This morning we visit Voewood, built by ES Prior for the Reverend Percy Lloyd between 1903 and 1905. 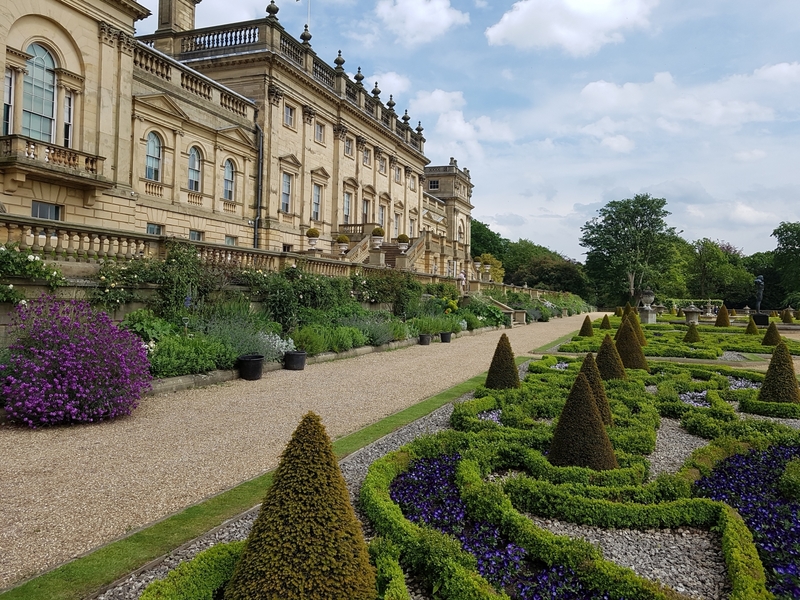 Surrounded by wonderful landscaped gardens and woodlands, our guided tour of this stunning butterfly plan arts and craft house concludes with tea and biscuits. 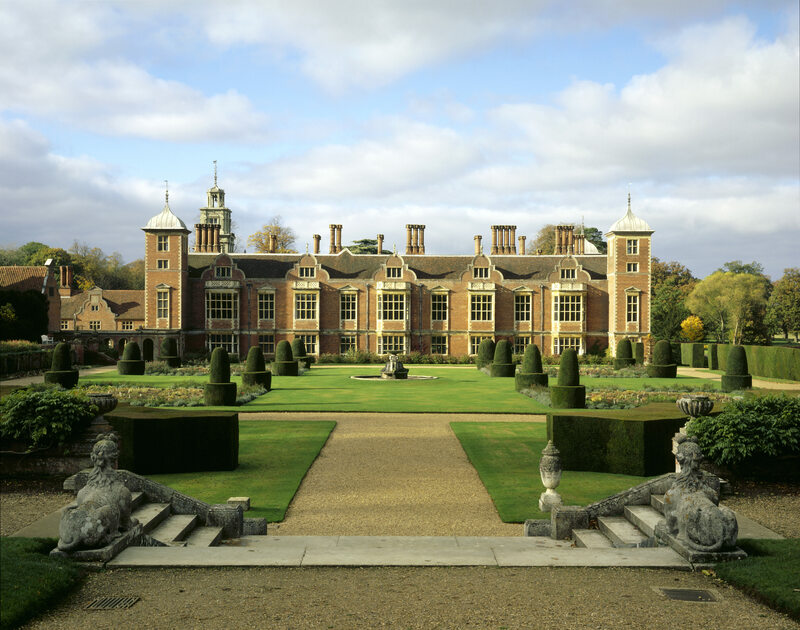 We continue with our Blue Badge guide this afternoon to the National Trust’s Blickling Hall, Garden and Park. One of England’s great Jacobean houses, Blickling is famed for its spectacular long gallery, superb plasterwork ceilings and fine collections of furniture, pictures, books and tapestries. After checking out of our hotel and before returning home we visit the Beth Chatto Gardens near Colchester. Began in 1960 from an overgrown wasteland with poor gravel soil and boggy hollows, it has been transformed into an informal garden harmonising with the surrounding countryside. 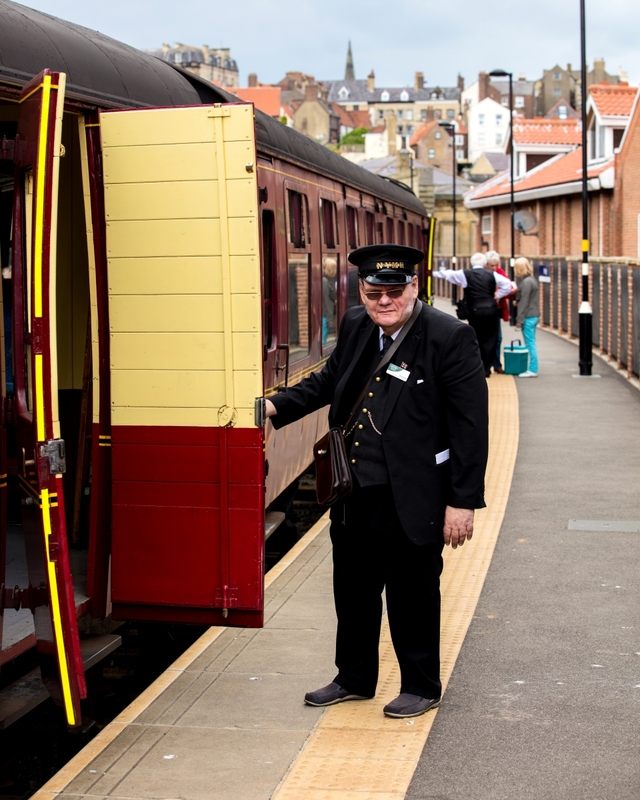 NB:- Please note we reserve the right to alter the above itinerary if required for operational reasons. 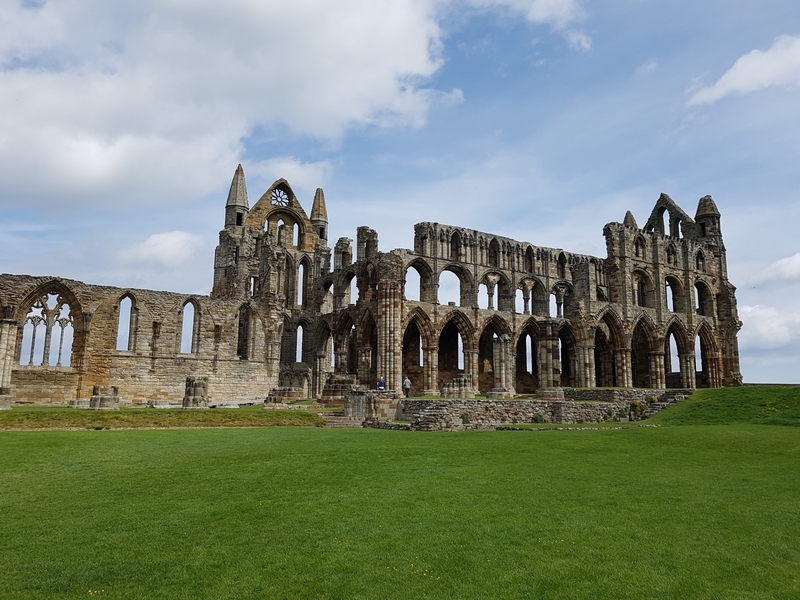 Given the historic nature of the places visited, a certain degree of walking will be involved, and this holiday may not be suitable for those with mobility problems. 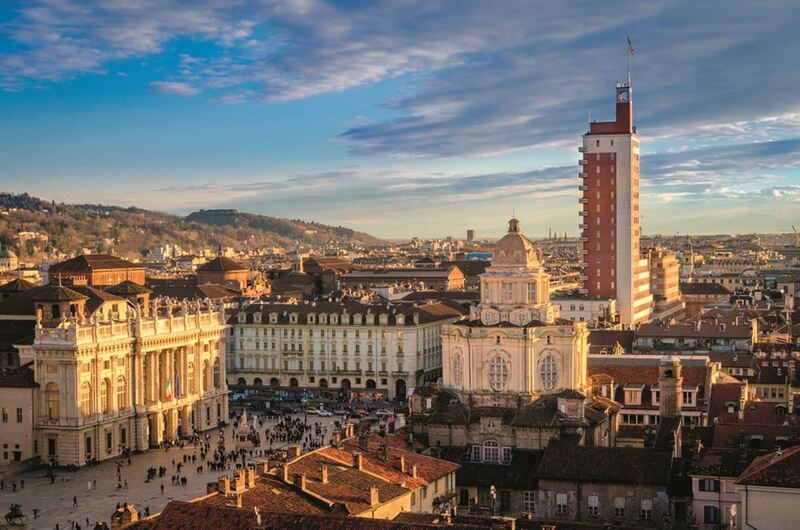 The destination of the Society’s 2018 Tour was Turin, the capital of the Piedmont region in northwest Italy. 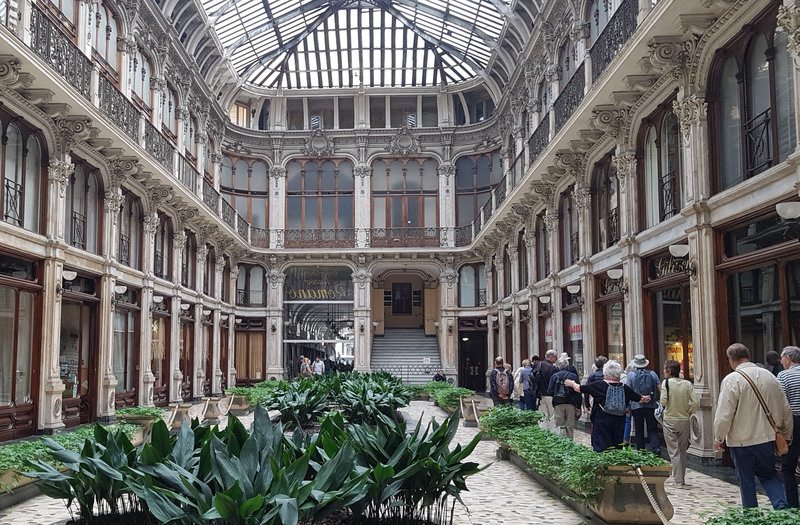 Renowned for its elegant architecture and with history going back to Roman times, Turin is also the home of FIAT, and is one of Italy’s three most important cultural and business centres. Our 33-strong group explored the city and the surrounding area over five very busy days taking in sights that ranged from the 8th century Romanesque Vezzolano Abbey nestling in the lush hills outside Turin, to the glittering Baroque interiors of the royal residences of the House of Savoy, to the rooftop test track of the FIAT factory. 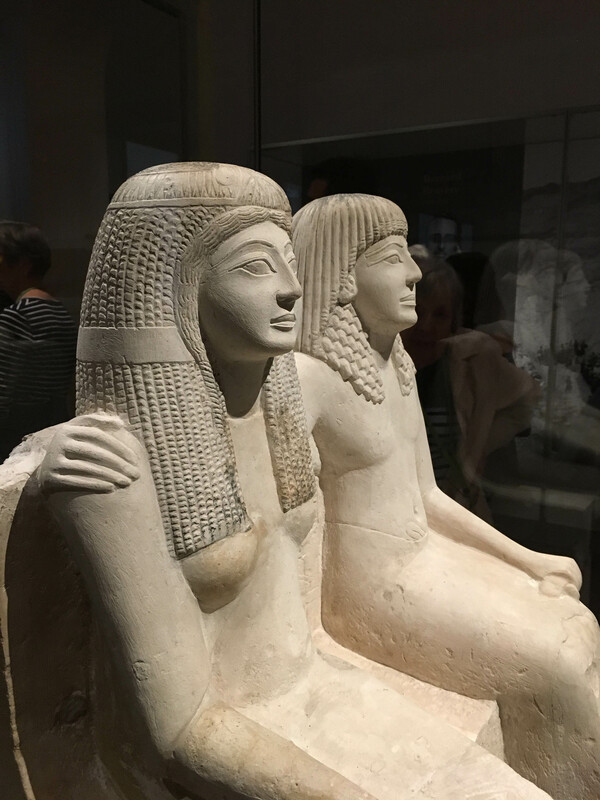 We were most impressed by the quality of displays at the modern, recently renovated Egyptian Museum which houses a vast collection of Egyptian antiquities, including the most ancient copy of the Egyptian Book of the Dead and a spectacular tomb of a high- ranking architect and his wife, complete with their larger-than-life effigies, mummies, clothes, wigs and furniture. 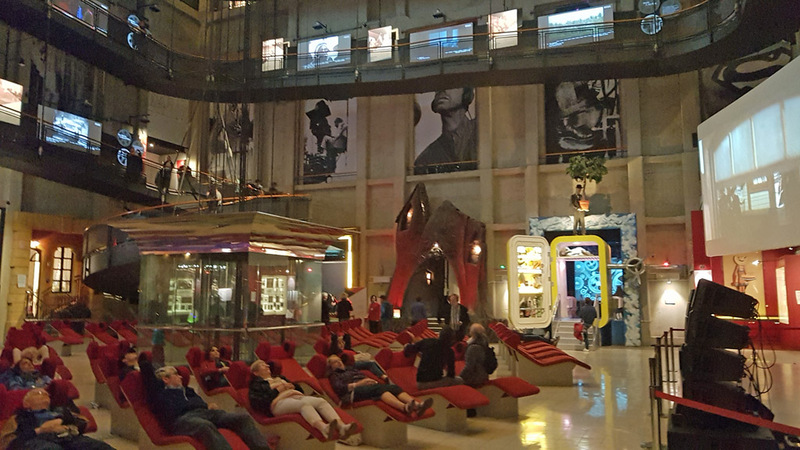 We were also overwhelmed by the size and scope of the Cinema Museum, one of the most important of its kind in the world, which traces the history of cinema from the earliest optical devices to the latest developments in film technology in exhibitions winding their way up five floors of the striking Mole Antonelliana. 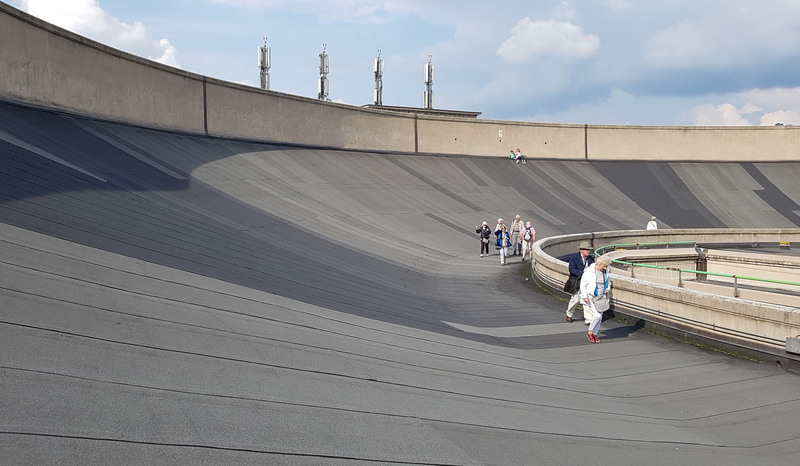 For those with extra stamina and energy, one of the highlights of the tour was the optional visit to the FIAT Motor Museum and the test track above which rises Pinacoteca Agnelli housing 25 masterpieces from Giovanni and Marella Agnelli private art collection. 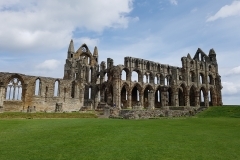 Yorkshire has some of the best country houses, ancient abbeys and beautiful countryside in England. 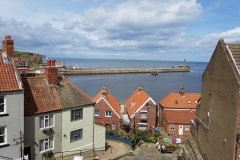 This was the destination for our Society’s 5 day trip in May focused on the historic Houses and Heritage of Yorkshire. 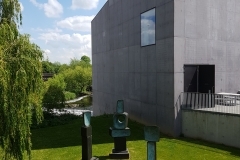 First stop on our journey north was Wakefield where both Barbara Hepworth and Henry Moore were born. 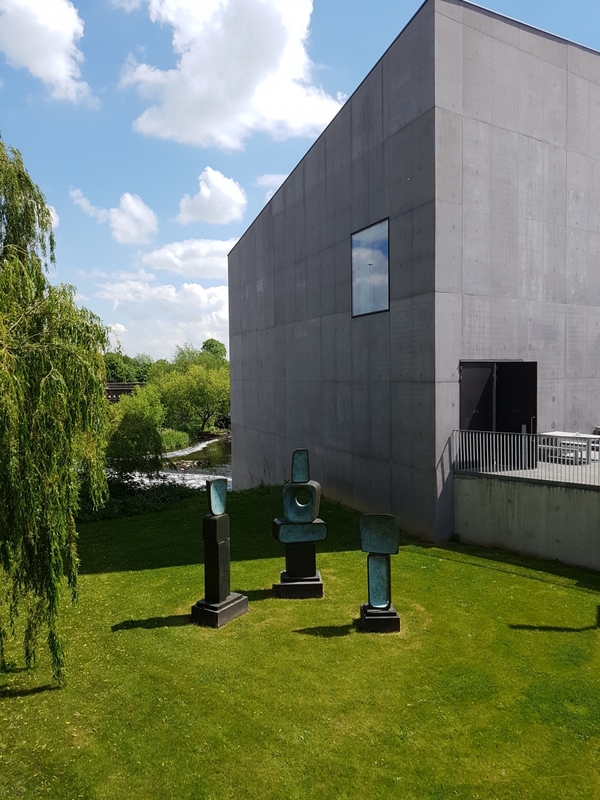 We visited the light and spacious Hepworth Gallery which has a collection of works by well known modern artists. 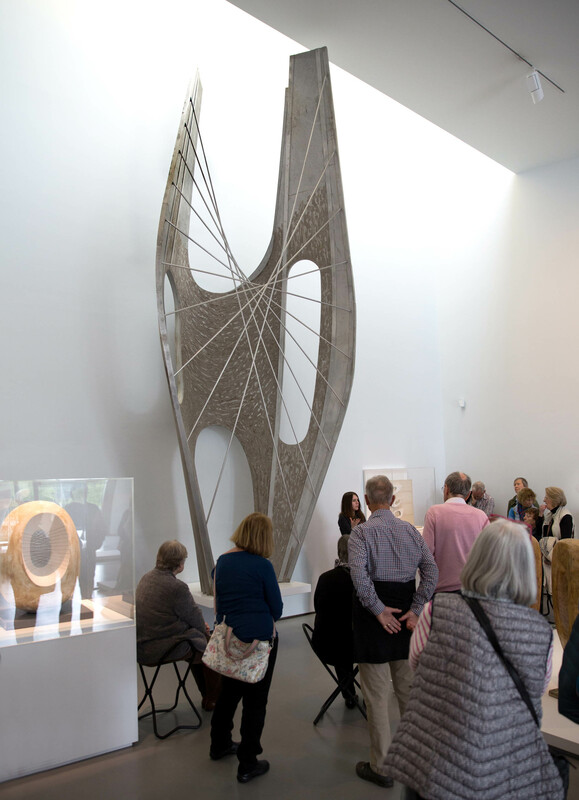 The focus of our guided tour was the many works charting Hepworth’s artistic development, including her stunning ‘Mother and Child’. 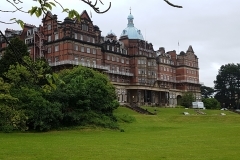 The attractive Victorian spa town of Harrogate, with its dominant yellow limestone architecture, was our base for the tour and where, on our arrival at the Majestic Hotel, we met our Blue Badge Guide, Jenny. 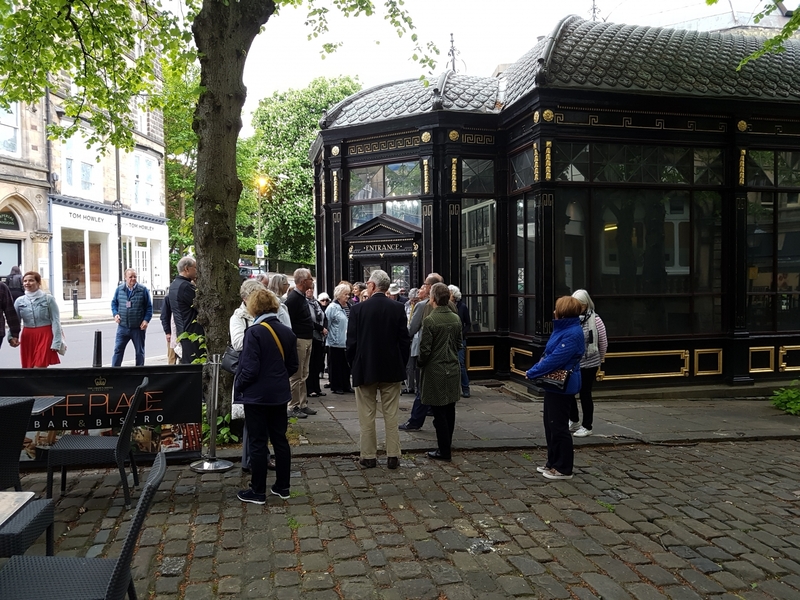 She quickly whisked us off on a walk around the town to see some of the splendid buildings including the Royal Baths, Pump Room and The Royal Hall. Sadly only the Turkish Baths are still operating. 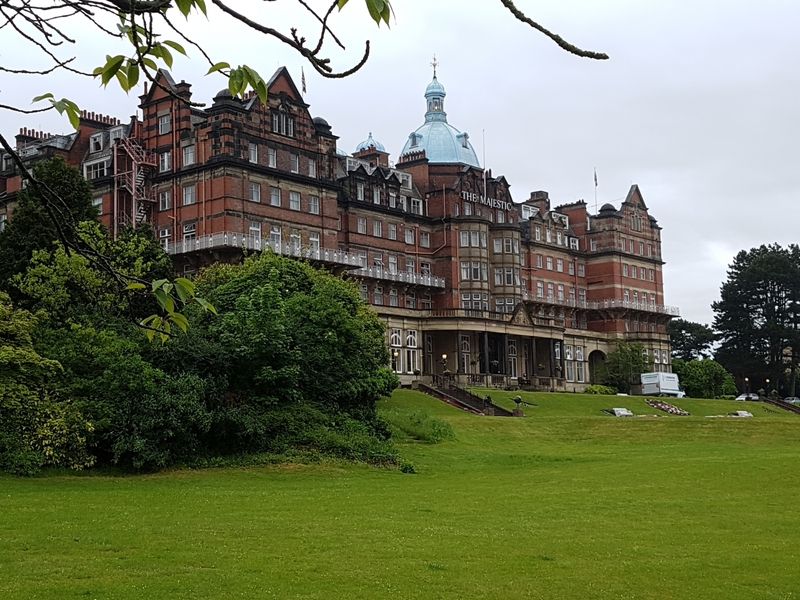 However the 200 acres of grassland abutting the town (The Strays) and its beautiful Valley Gardens are intrinsic to Harrogate, which is now a major centre for conferences and exhibitions. 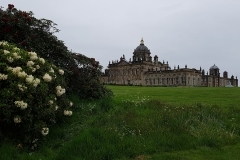 Castle Howard was our destination for the morning of the second day. 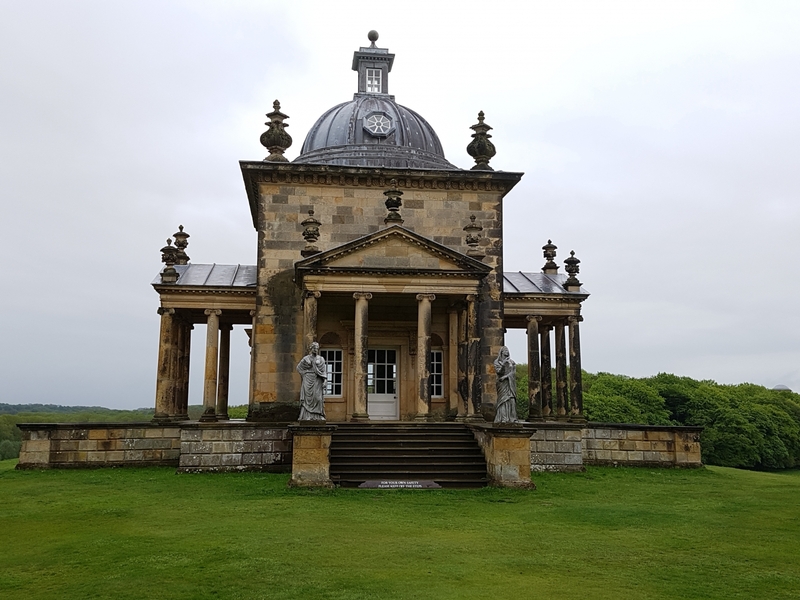 Designed by Sir John Vanbrugh, assisted by Nicholas Hawksmoor, it was erected in the 18th century on the site of a ruined castle; its extensive gardens and parkland make for a beautiful setting. 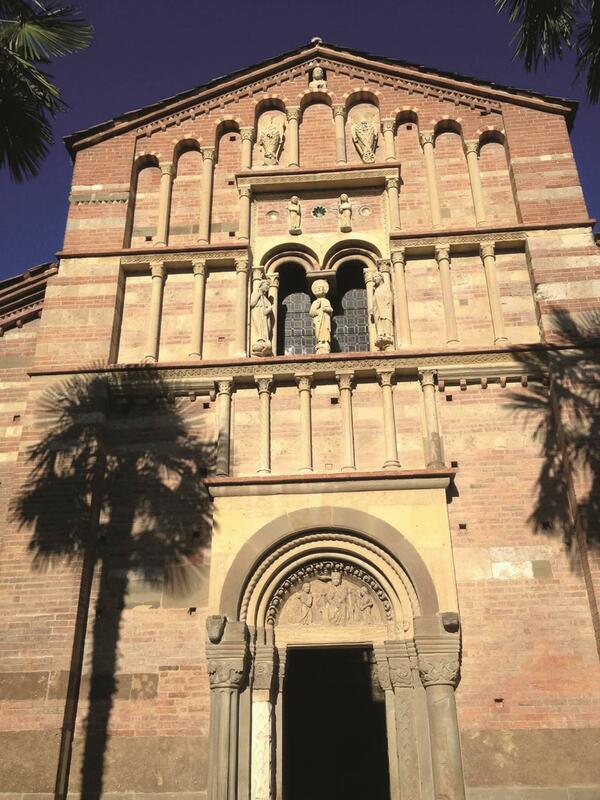 For over 300 years it has been the home of the Carlisle branch of the Howard family. 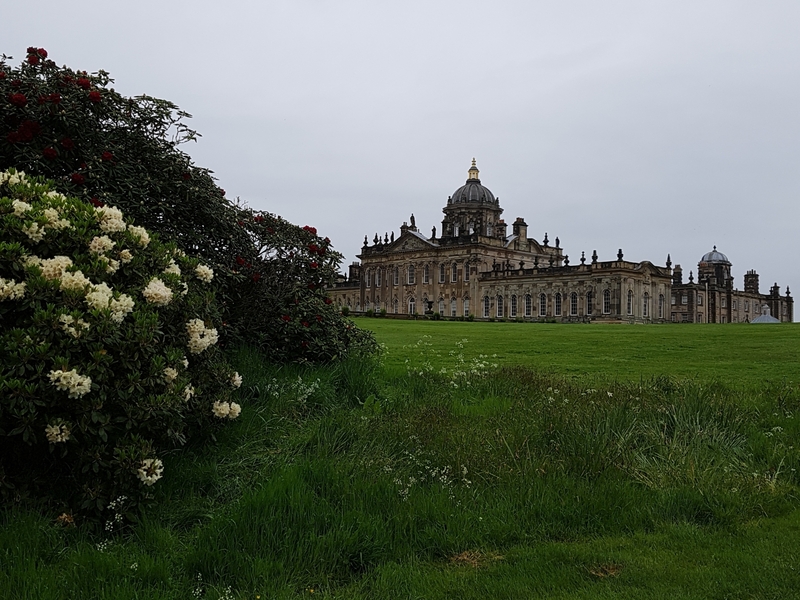 Filled with the produce of two Grand Tours and decorated by the Venetian painters Pellegrini and Ricci, Castle Howard has been richly furnished throughout; a perfect setting for the TV series and film ‘Brideshead Revisited’. 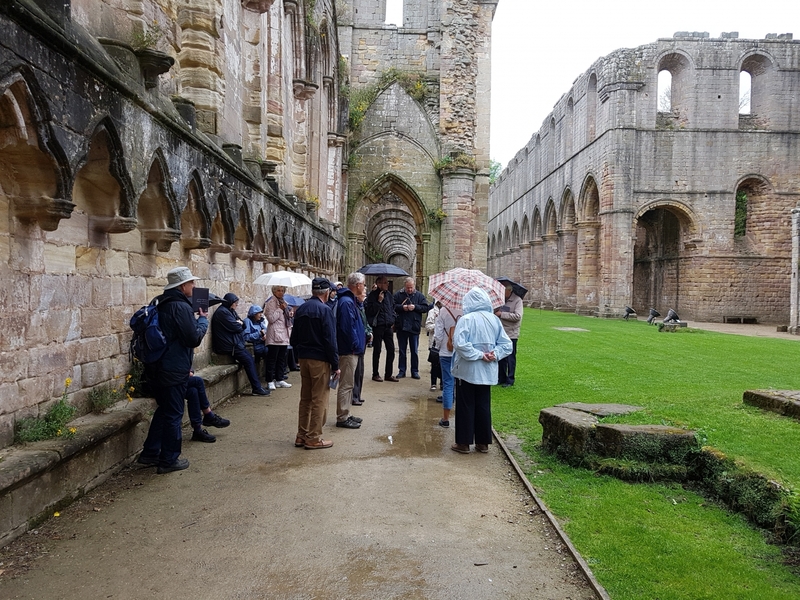 An afternoon at Fountains Abbey and Studley Royal Water Gardens was one of the highlights of our tour. 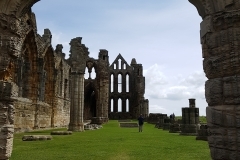 Located in a valley through which runs the River Skeld, the Cistercian Abbey was built almost a thousand years ago and remained a working monastery for 400 years before it was plundered and dissolved by Henry VIII. 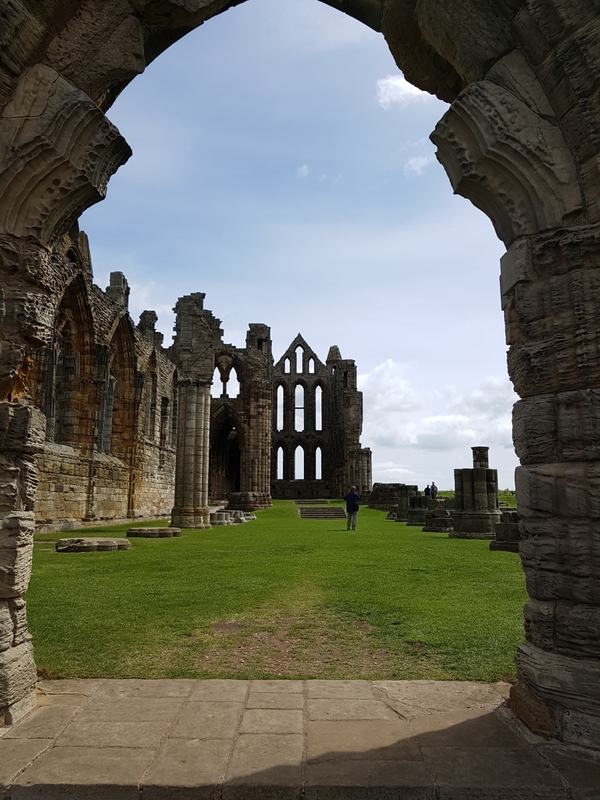 However, although a ruin today it is one of the best preserved set of buildings of its kind and deservedly earns its reputation as a “place of quiet contemplation and inspiring beauty”. 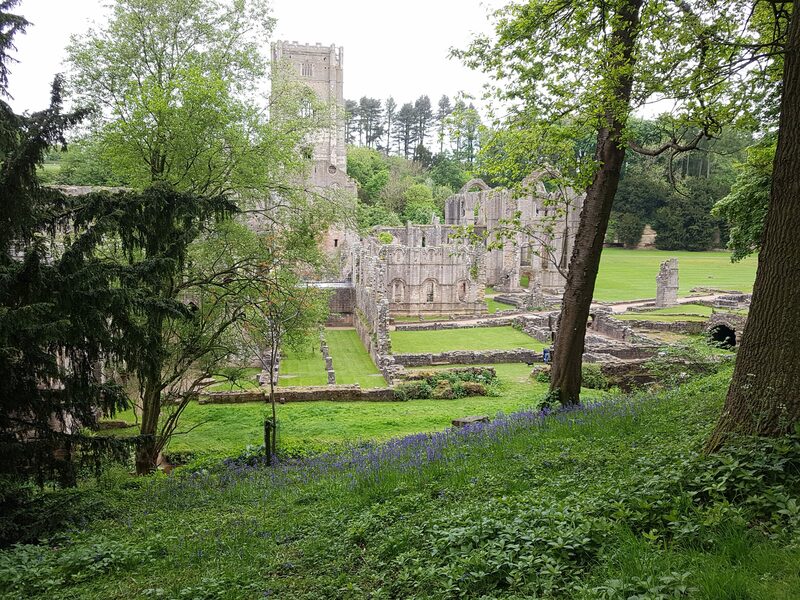 Below the Abbey lie the 18th century pleasure gardens with the most stunning views of the lake, cascades and canal which act as a mirror reflecting the tree lined sides of the valley. 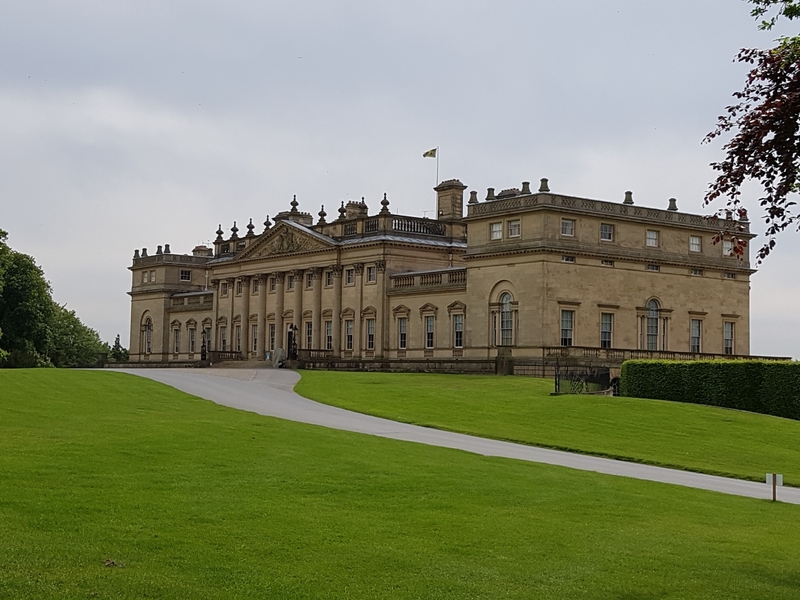 Sadly we could not do justice in one afternoon to the many buildings and parkland walks in this exceptional World Heritage site. 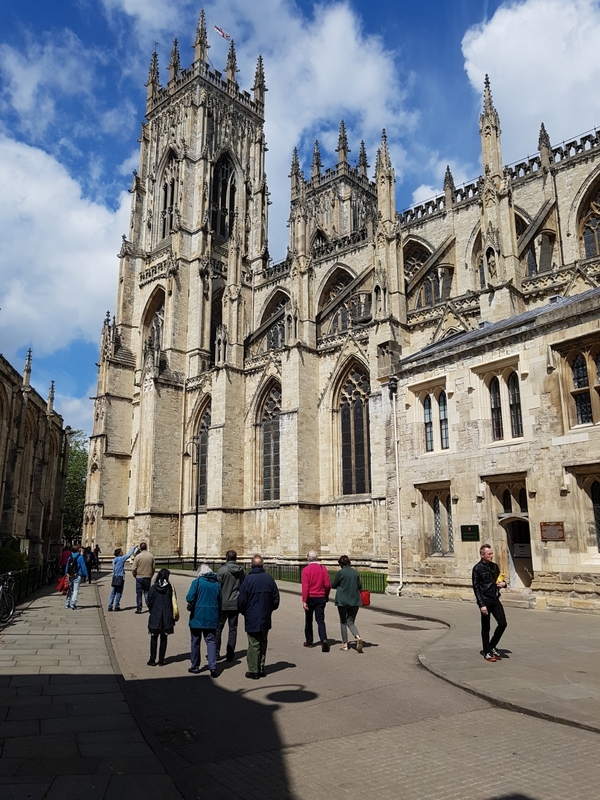 On day 3 we headed to York in our very comfortable coach and as we approached, though still several miles away, we could see the enormous bell towers of York’s 13th century Gothic cathedral. 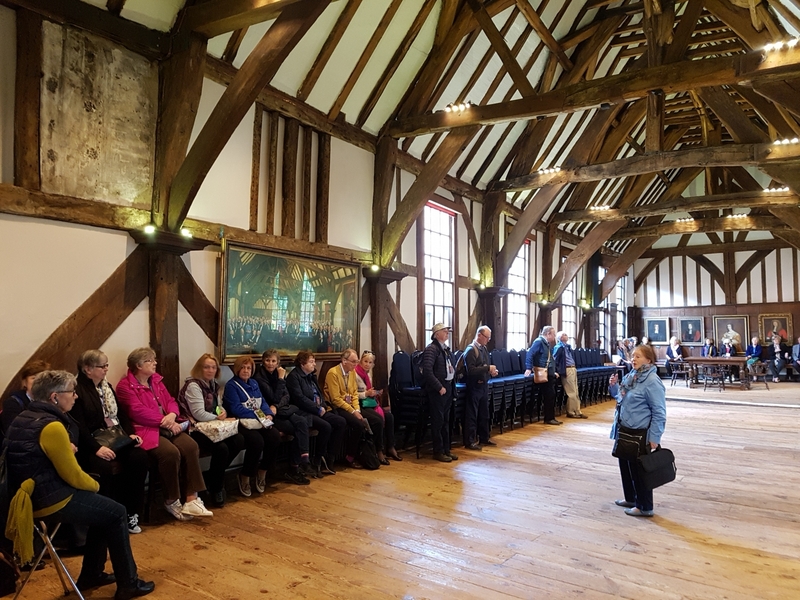 We visited, with our guide, the 14th century Merchant Adventurers Hall and explored the Shambles, one of the best examples in Europe of a medieval street. Once it was a street of butchers’ shops and houses, now it is a bustling area of boutiques and cafes. 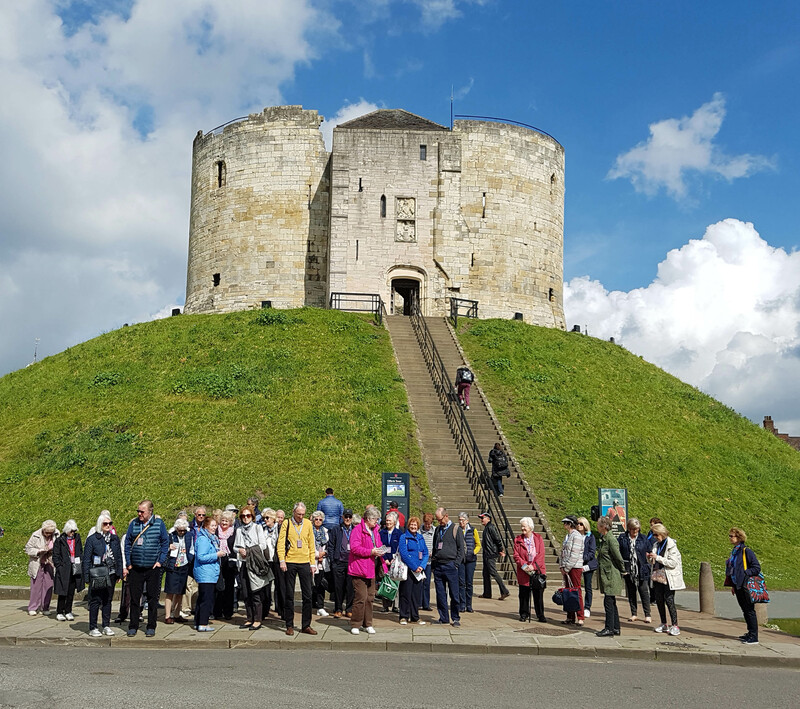 In the afternoon we explored the delights of York on our own. 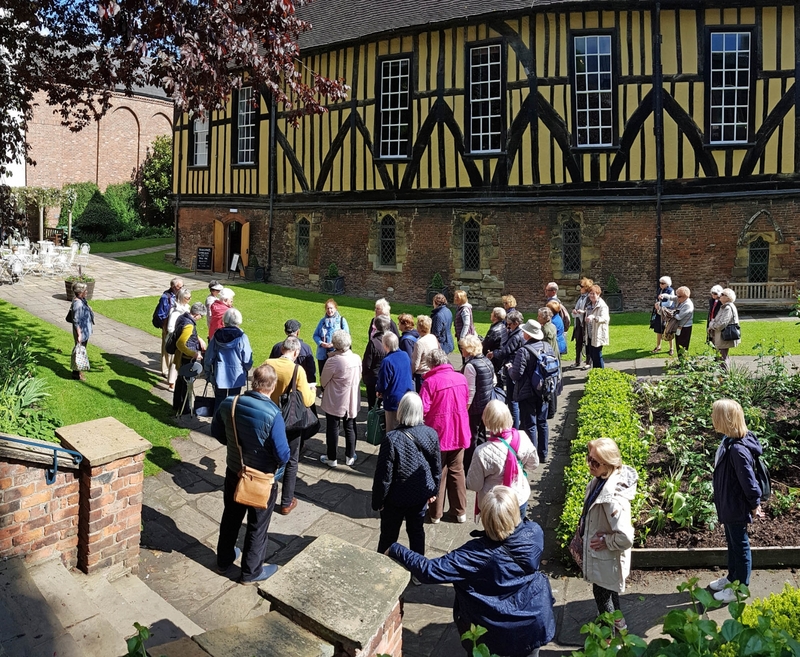 Some headed to the Minster with its splendid stained glass windows while others visited the Art Gallery in the grounds of St Mary’s Abbey. The more adventurous headed off to walk the City walls. Some discovered The Treasurer’s House and others toured the old Fairfax House, one of the finest Georgian town houses in England. 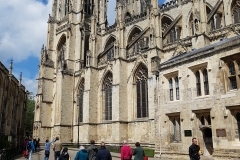 York is certainly one of those places to which you would wish to return and stay longer. 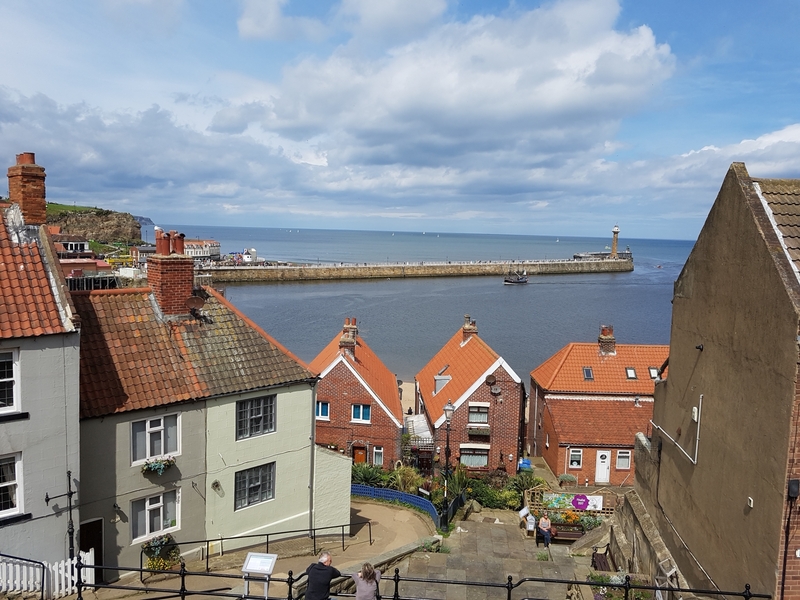 Day 4 provided a total contrast with a visit to the seaside town of Whitby. 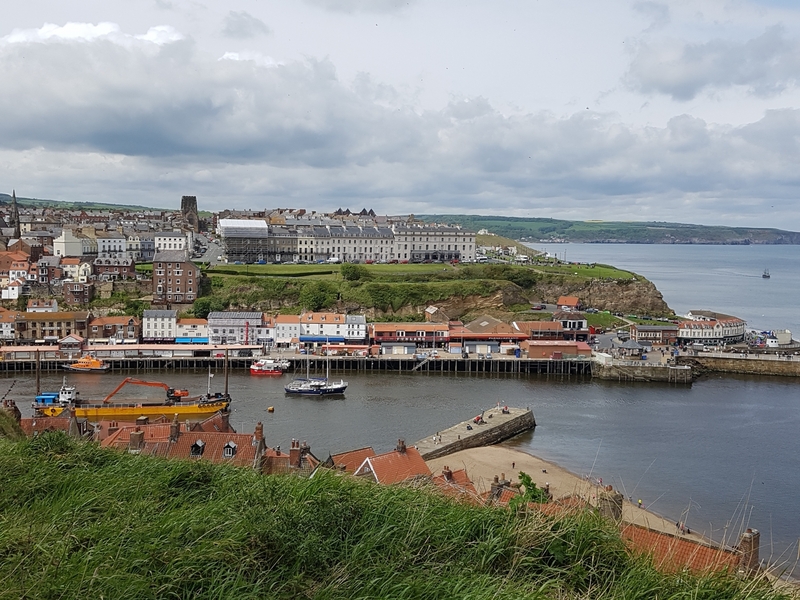 On our way we passed through the magnificent landscape of the West and North Riding while our guide gave us a potted history of the area and some of its illustrious inhabitants; Captain James Cook grew up in the area when Whitby was a bustling centre of shipbuilding and trade. Today its wealth is derived from tourism. 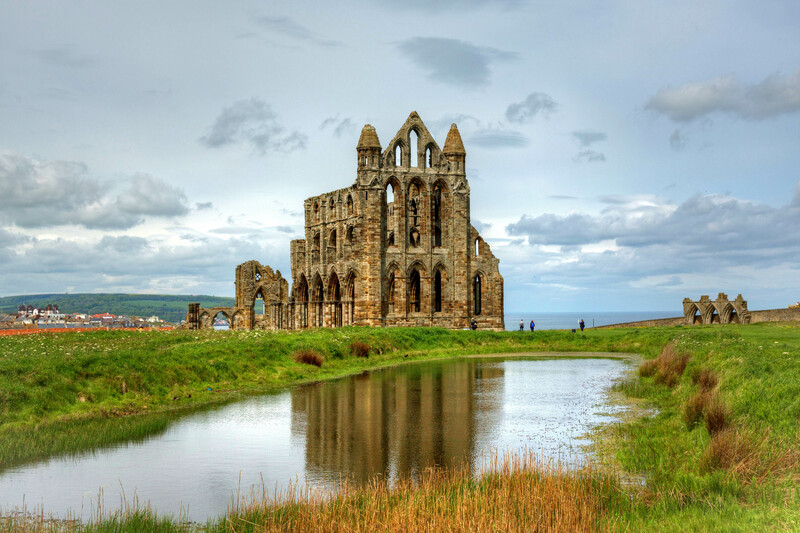 The town is dominated by the ruins of a Benedictine Abbey high up on the cliffs above the sea. 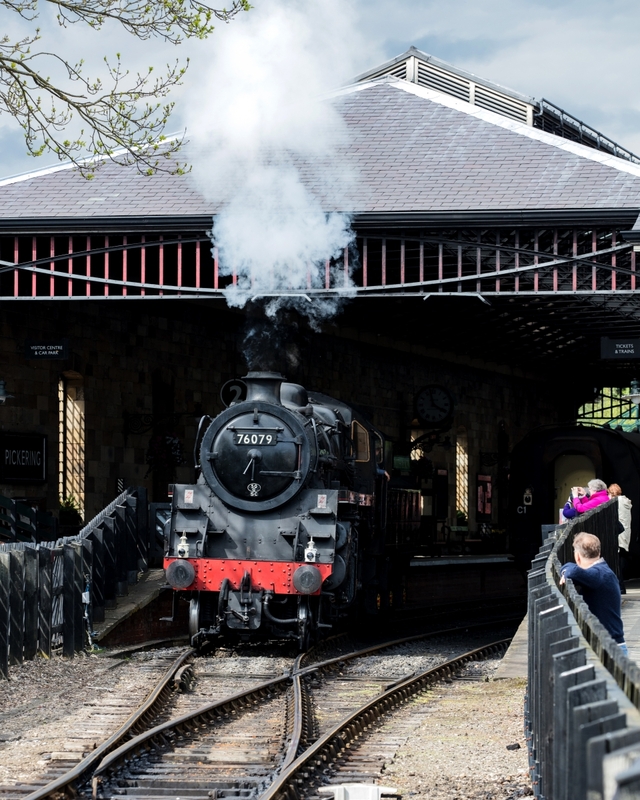 After a gentle amble through the town in lovely sunshine we boarded an LNER steam train which took us through yet more spectacular countryside along the North Yorkshire Moors Railway line. The best was kept for the final day. 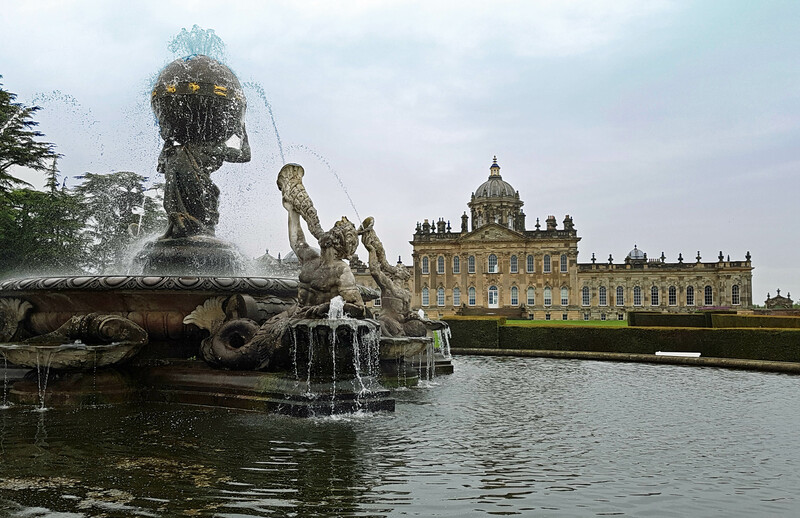 On our journey home we visited Harewood House and Gardens, one of the foremost historic homes in the country. Owned by the Lascelles family since 1751, Harewood is the product of the best craftsmen of the time: the architect John Carr, the interior designer Robert Adam, the furniture maker Thomas Chippendale and the landscape gardener Capability Brown. 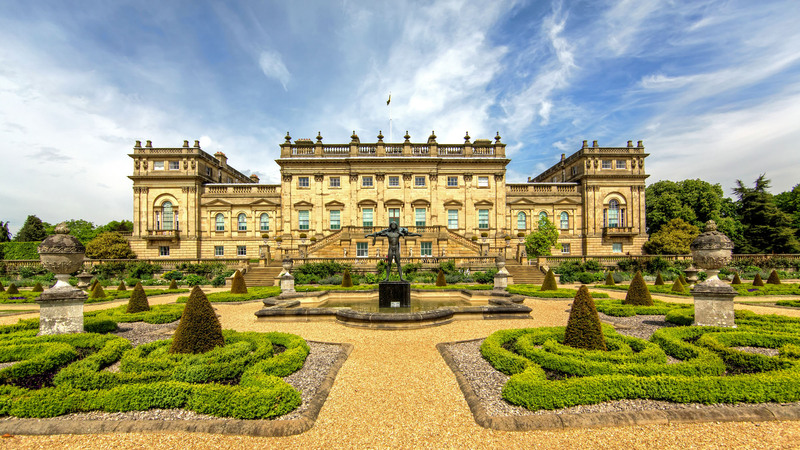 Harewood’s art collection has grown consistently through the years to include Chinese and French porcelain, paintings by El Greco, Titian, Reynolds, Turner and Gainsborough, and modern sculptures by Epstein and Gormley. 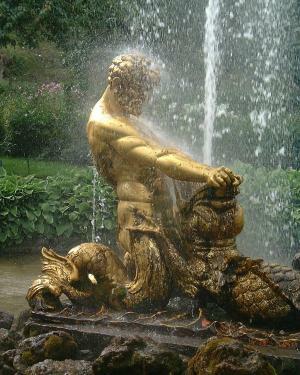 A wonderful 9ft high bronze statue of Orpheus and the Leopard, by Astrid Zydower, dominates the Terrace Garden. 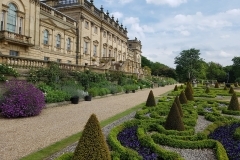 The spectacular vistas created by Capability Brown are complemented by the Himalayan garden which abounded in rhododendrons and primulas in a dell at the foot of the lake. 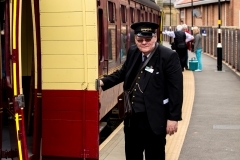 The heritage we saw was enriched by the extensive knowledge of our Blue Badge Guide and the smooth journey was due to the professionalism of our bus driver. 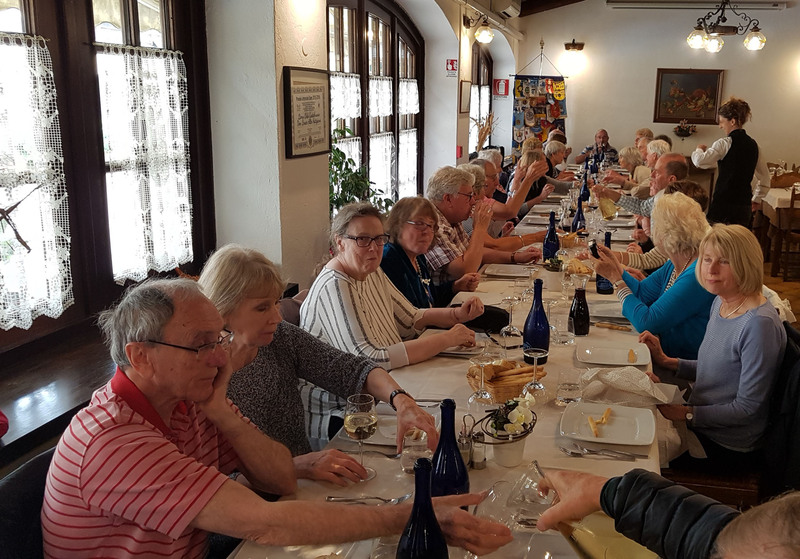 However the ultimate success of the trip was the result of the meticulous organisation of the tour by Tailored Travel and the daily attentiveness of our leader Halina. 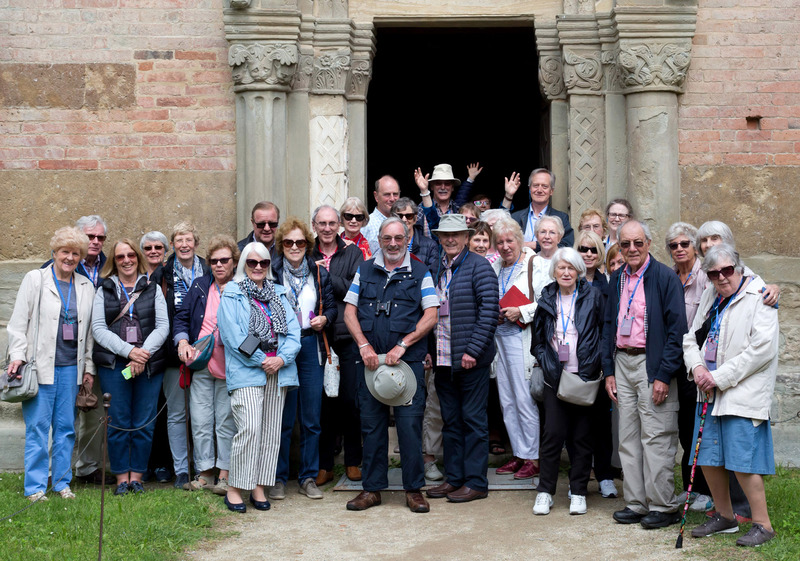 ‘A wonderful trip’, ‘an excellent and successful trip’, ‘a marvellous visit’, ’a fascinating experience’ – these were some of the comments made by the participants in our May 2016 tour to Dresden. 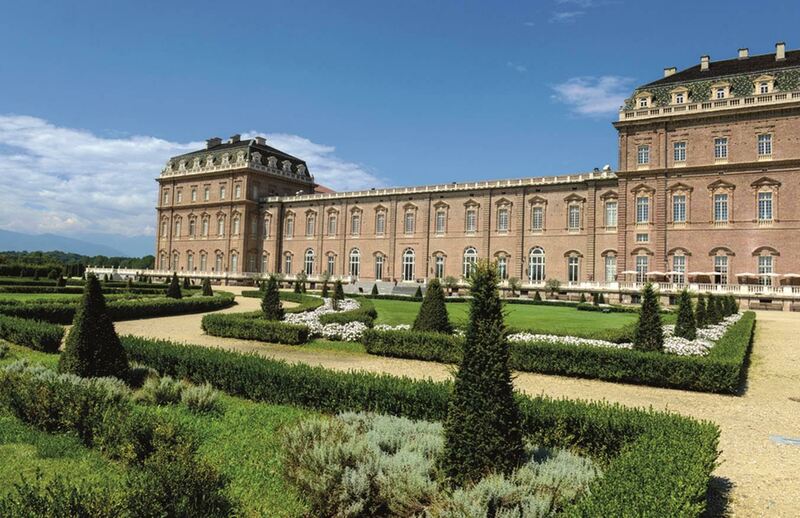 The group spent five days exploring the splendid collections of the city’s Old Masters Picture Gallery and Palace, Meissen Porcelain Museum and Pillnitz Castle. 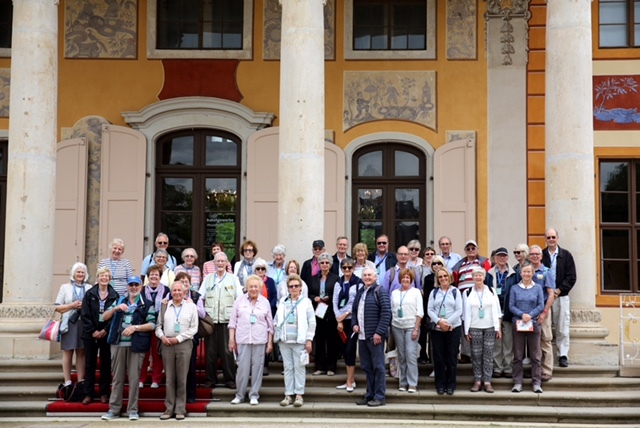 Among the highlights of the tour was a paddle steamer cruise on the river Elbe and a brief but memorable visit to the Sanssouci Palace in Potsdam. 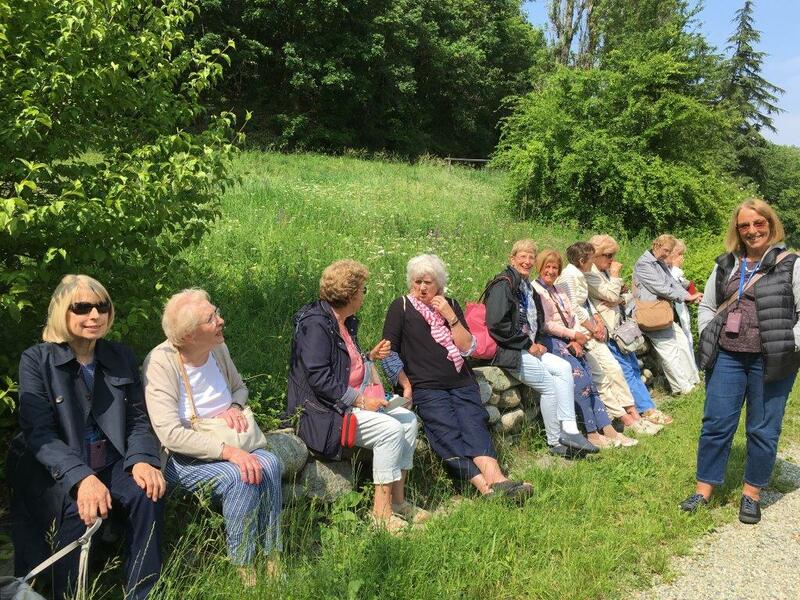 Members of the group were impressed by the beautiful scenery and, most of all, by the reconstruction of the city after the ravages of war, the years of neglect by East German authorities, and the devastating floods of 2002 and 2013. 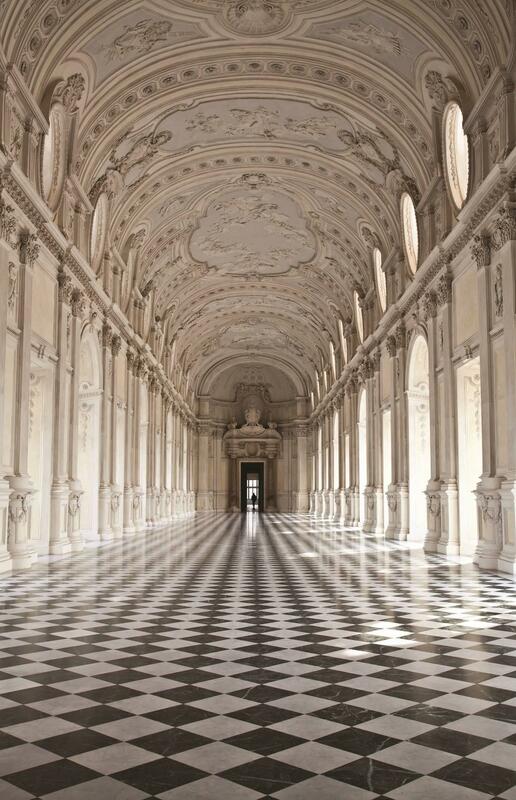 ‘The collections were truly jaw-dropping, as was the reconstruction of the city. 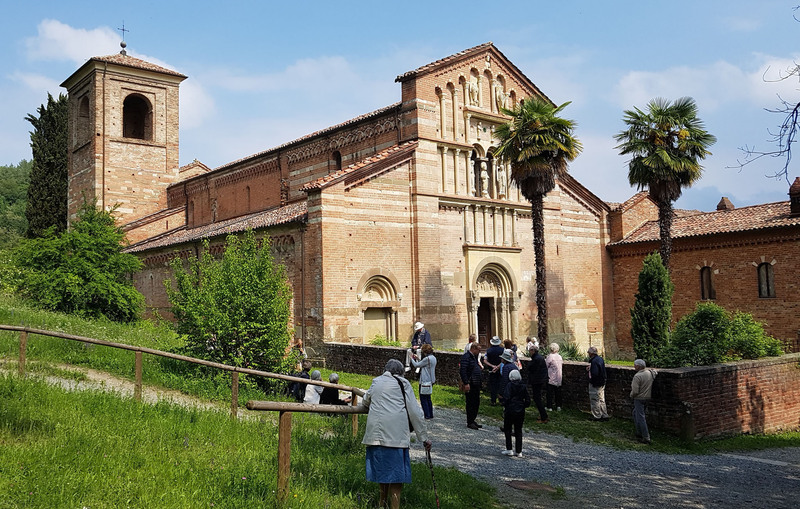 What an achievement’, commented Peter and Fiona Hare and Sue Hughes wrote in a similar vein: ‘There were so many wonderful sights and treasures and our guide, Cosima, was inspirational. It was my first visit to Germany and a real eye-opener’. 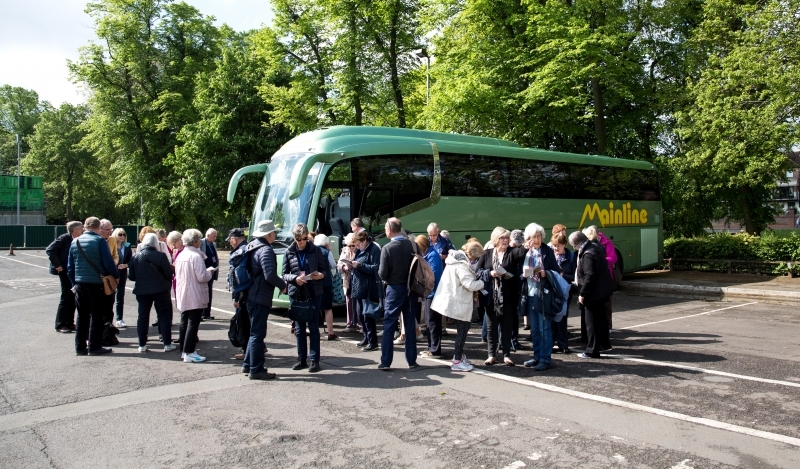 The trip was a revelation for many and its participants praised the itinerary as well as the great variety of art, architecture and music including such unexpected attractions as a live relay from Semper Opera House of Wagner’s Lohengrin, open air performances by Dixieland bands and a concert given in Saxony’s largest church by a famous male choir. We met at Gatwick Airport for our direct scheduled Easyjet flight to Berlin. On arriving in Berlin we were met by our professional local guide and transferred by coach to Dresden where we checked in at 4* Maritim Hotel for a four night stay. The rest of the afternoon was free time when many of us went out to see the centre of Dresden, a short walk away from the hotel. We returned to a set three-course dinner in our hotel. This morning a guided tour of the Meissen Porcelain Museum gave us an insight into the production process at this world renowned manufacturer. After spending some time at leisure in the historic town of Meissen we returned to Dresden. 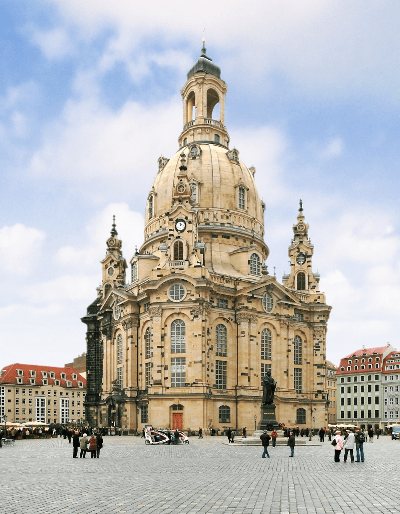 Our guided introductory walking tour of Dresden took in sights such as Semper Opera House, the Cathedral and a visit to the reconstructed Frauenkirche. We visited Pillnitz Castle and Gardens for a morning guided tour. One of the area’s finest summer palaces, the Castle lies picturesquely on the banks of the River Elbe. With its flying buttresses and chimneys ornamented with crowns, this is the only Chinese style castle of its size in Europe. Here we visited the Museum of Decorative Arts known for its collection of Saxon and European arts and crafts of the 17th and 18th century. In the afternoon we travelled to Konigstein, a town located by the banks of the River Elbe. We then took a memorable paddle steamer cruise along the River Elbe from Konigstein to Pirna to view the splendour of the Saxony Alps. the old fortress of Dresden, now a museum and art gallery. 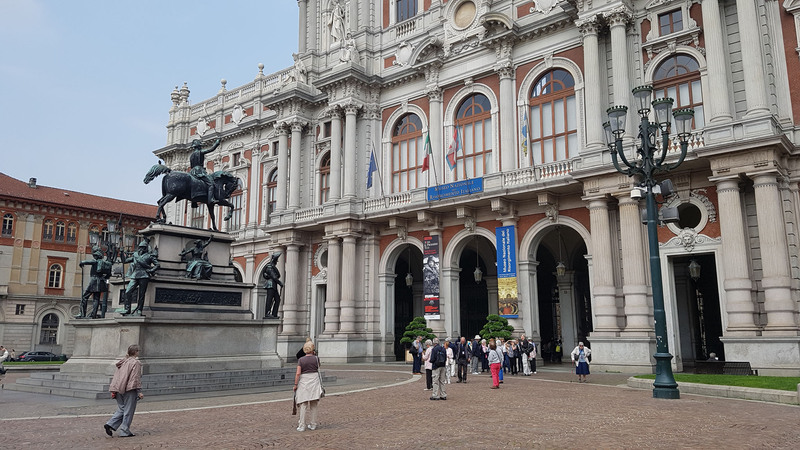 A guided tour of the Old Masters Picture Gallery in the Palace introduced us to works by Rubens, Canaletto, Raphael, Titian, Rembrandt and Vermeer, and it was followed by a visit to the wonderful Meissen porcelain gallery. In the afternoon we visited the Royal Palace and explored the Old Green Vault with its collection of fine silver and jewellery; we also visited the New Green Vault featuring some of the collection’s core pieces, among them the celebrated Dresden Green Diamond. On the final day we visited Potsdam, a town set amongst woodlands and lakes with opulent palaces and gardens. Here we enjoyed a guided tour of the stunning rococo Sanssouci Palace, created in 1744 by Frederick the Great as his summer residence. We continued to Berlin Airport for our direct scheduled Easyjet flight back to Gatwick. 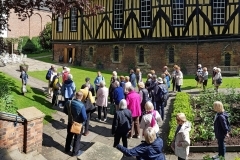 After a gap of six years the society held a five-day action packed tour to Liverpool and Salford; the itinerary also included visits to Port Sunlight Heritage Centre and to two of the finest timber framed houses in the country – Little Moreton Hall and Speke Hall. 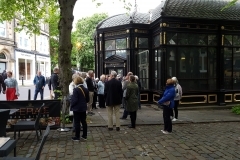 Elisabeth Newel , our excellent Blue Badge guide, introduced us to Liverpool’s famous landmarks – from Albert Dock and the Royal Liver Building to John Lennon’s childhood home, the top-class museums, art galleries and two great cathedrals – Liverpool Cathedral and the Metropolitan Cathedral. In addition, she surprised us with an unscheduled visit to Crosby Beach where we were able to admire Another Place, Anthony Gormley’s installation of some 100 cast iron sculptures emerging from the sea at sunset. “…Thank you for a tour that met all our expectations (& more with the Gormley)…” wrote Fiona & Peter Hare; “…a brilliant programme…interesting, informative & exciting”, Jill & John Pocklington; “a superb trip…I was really impressed by the city…” Pat Crisp; ‘…it was our first visit and we were amazed how much there was to see…” John & Carol Robbins; “…a splendid trip… (it) opened our eyes to wonderful places nearer home…” Sally & Robin Sutton. “It was such a friendly group – we could relax and enjoy each other’s company…” Mollie Orr. 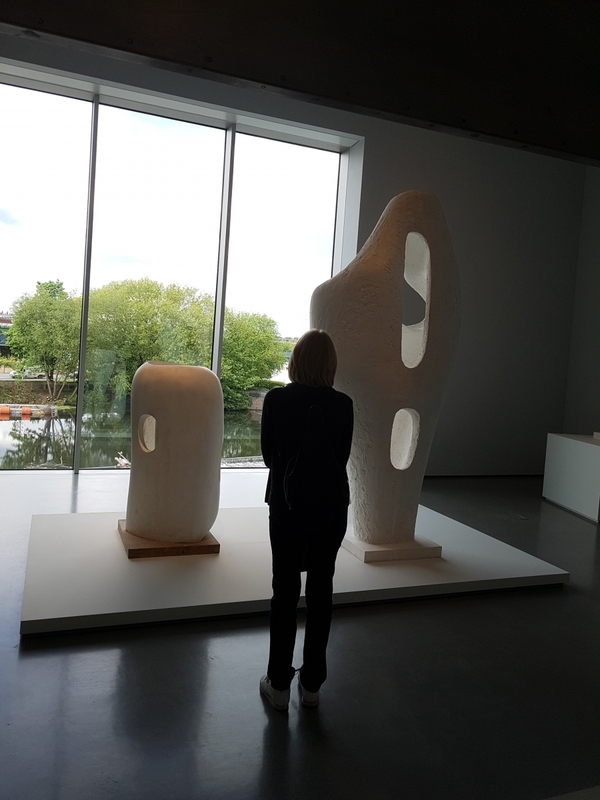 The final highlight of the tour was a visit to the redeveloped Salford Quays in Greater Manchester and its spectacular theatre and gallery complex – The Lowry housing the biggest public collection of L. S. Lowry’s works. 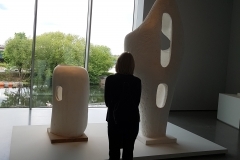 We were fortunate to be given an expert introduction to the artist’s life and had a chance to examine closely some of the 350 paintings and drawings on display. The weather was – as expected of Liverpool – a bit chilly and windy but dry and bright, and good mood prevailed throughout the five days of travel. 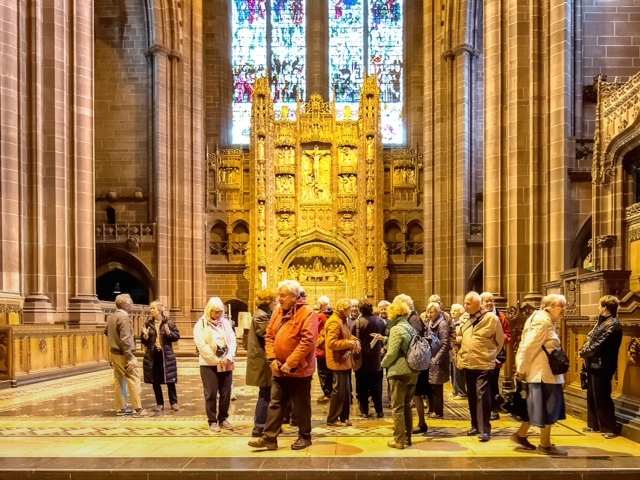 With our Blue Badge guide we toured Liverpool taking in the splendour of the Metropolitan Roman Catholic Cathedral with its modern circular design and glorious multi coloured windows and Liverpool Cathedral, one of the most iconic buildings of the city. We then enjoyed a guided tour of the Walker Art Gallery, introducing us to one of the finest collections of fine and decorative art in Europe with works by Rembrandt, Poussin and Degas, 20th century works by artists such as Lucian Freud, David Hockney and Gilbert and George as well as one of the most important sculpture collections outside London. At the end of the day we were taken to Crosby Beach to see Anthony Gormley’s installation Another Place. 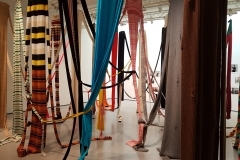 We enjoyed a guided tour of Tate Liverpool with our Blue Badge guide. 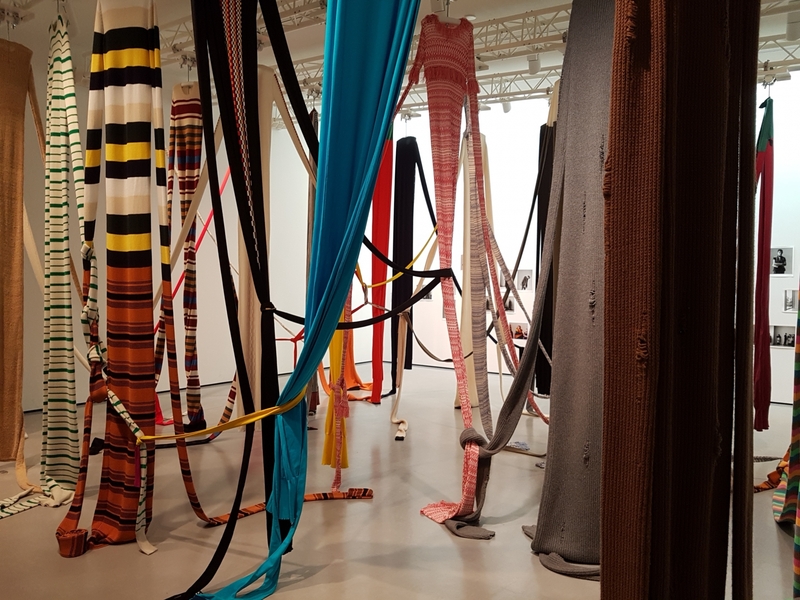 Housed in a beautiful converted warehouse in the historic Albert Dock, the gallery is the home of the National Collection of Modern Art in the North of England. 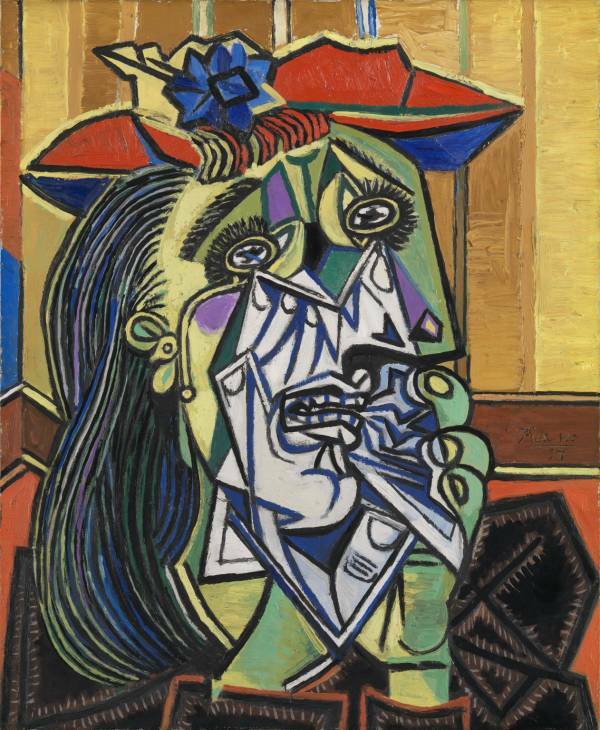 Works on display included Rodin’s ‘The Kiss’, Degas’ ‘Little Dancer Aged Fourteen’, Picasso’s ‘Weeping Woman’, and Andy Warhol’s ‘Marilyn Diptych’. 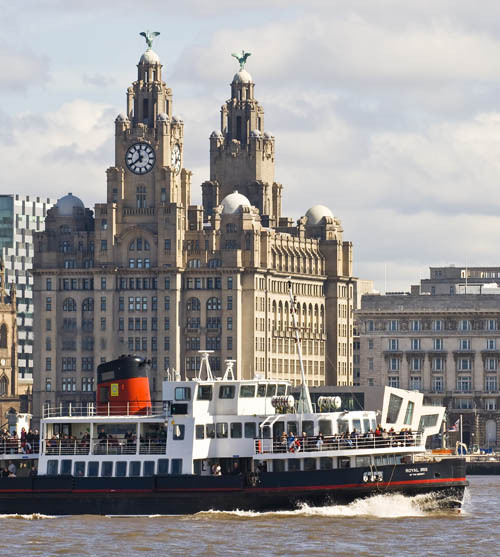 The rest of the day was spent at the Albert Dock, Liverpool’s most visited attraction situated in a stunning World Heritage waterfront setting, where we visited the International Slavery Museum, the Liverpool Museum, and the Merseyside Maritime Museum. Port Sunlight Village was built by the Lever family for their workers and the village has over 900 listed and preserved buildings, wide streets and gardens. 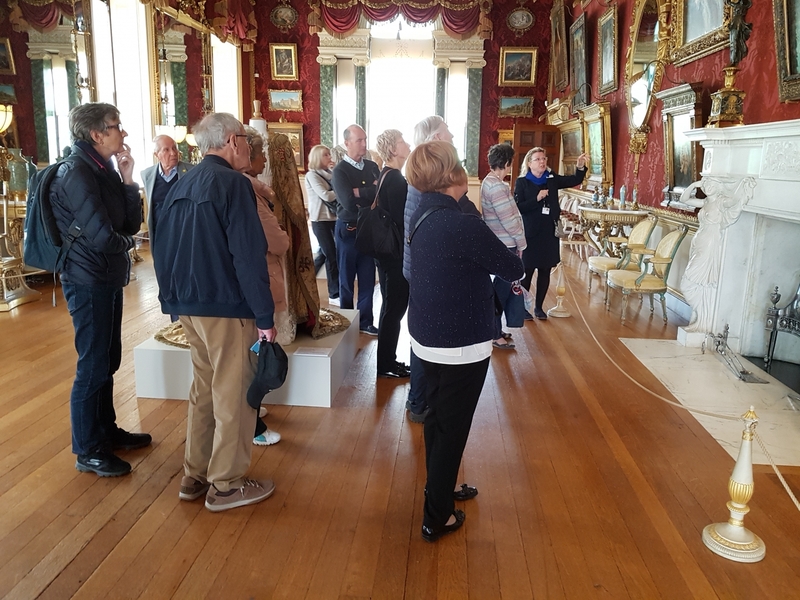 On arrival at the Lady Lever Art Gallery we had a guided tour of the works collected throughout the life of its founder, William Hesketh Lever, the first Lord Leverhulme. 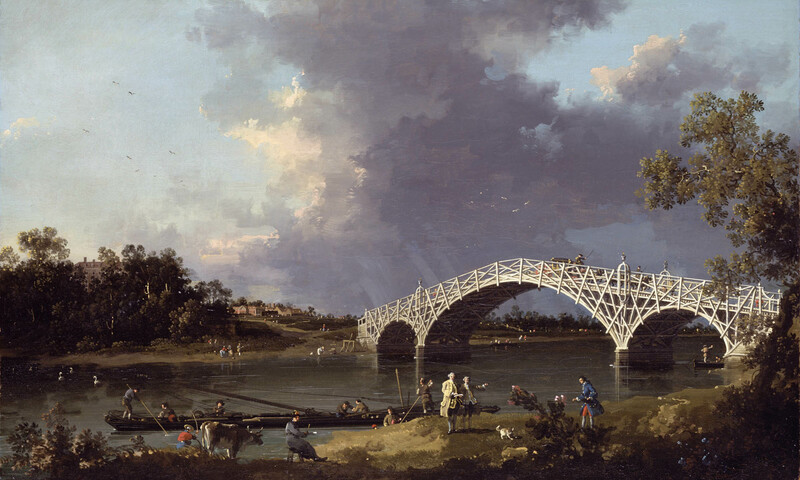 British 18th and 19th century paintings, 18th century furniture and outstanding collections of Wedgwood and Chinese porcelain were among the treasures on show. 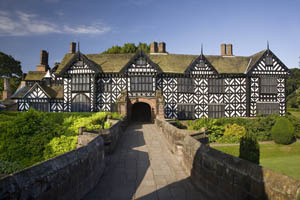 We continued with our Blue Badge guide to the National Trust’s Speke Hall, one of the country’s most famous timbered houses. 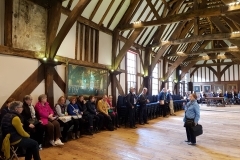 Originally built in 1530, its Great Hall and priest hole date from Tudor times. After checking out of our hotel and before returning home we had a guided tour of The Lowry. 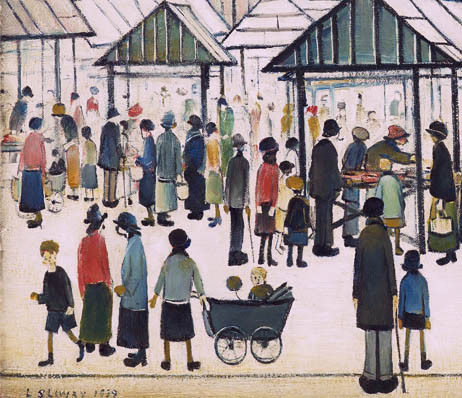 Set in a magnificent waterside location at the heart of the redeveloped Salford Quays, The Lowry houses the biggest public collection of works by LS Lowry with around 350 paintings and drawings, spanning across some 60 years of Lowry’s artistic career. We spent some further time at leisure at Salford Quays and some of us choose to visit the nearby Imperial War Museum North, an award winning building by international architect Daniel Libeskind. 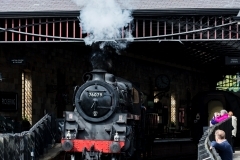 One of the most talked about Museums in Britain today, the Imperial War Museum North is about people and their stories and how lives have been and still are shaped by war and conflict. Think of Glasgow these days and anyone interested in the Arts thinks of Charles Rennie Mackintosh who was born in 1868. 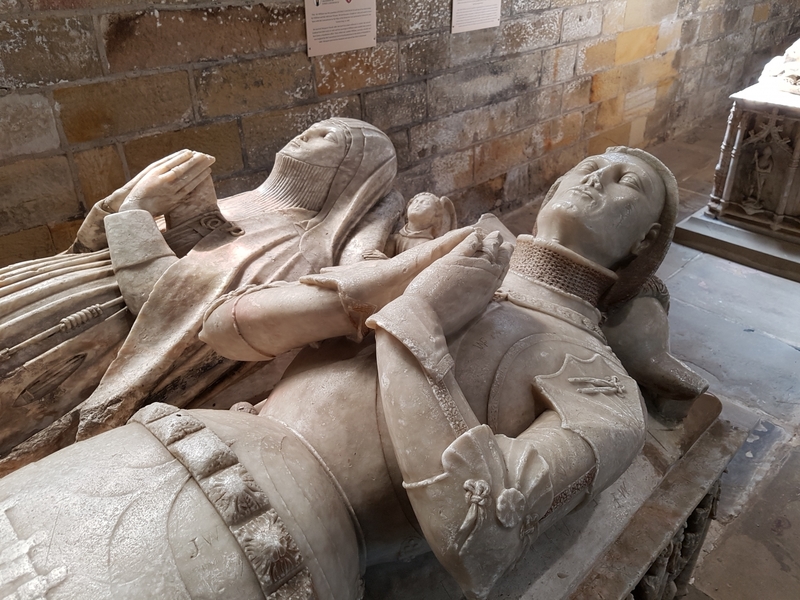 Well, we did him justice – unlike his Scottish contemporaries; he and his wife Margaret Macdonald were better known on the continent. 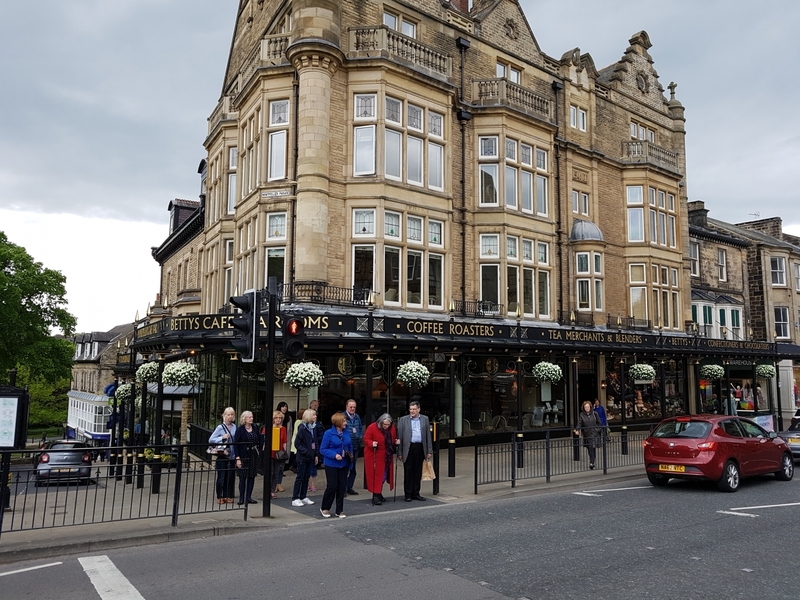 A particular favourite for our group was a building he designed in 1900 for an international competition and the special condition was that cost need not be a consideration. It was called House for an Art Lover. It was never built but a wealthy late 20th century engineer thought he’d try and build it using the designs still held by the German Company who set the competition. The house was finished in 1996 but only after much inventiveness by the engineer and his team. 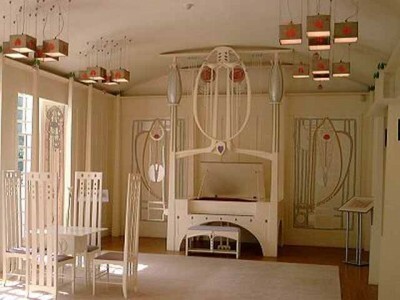 Mackintosh and his wife weren’t content with designing a building, they also designed the furnishings – in this case, wardrobes, chairs, curtains, book shelves and wall hangings. The latter were designed by his wife using a gesso technique which had to be reinvented in the 1990s. The Scottish Parliament building was also well worth the visit; opinions were united about the attractive interior but the exterior was a different matter. 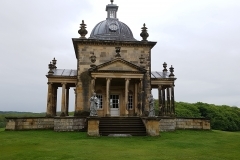 Designed by a Spanish architect, several of us felt it was not in keeping with the Palace of Holyroodhouse next door or indeed with Arthur’s Seat. 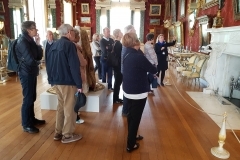 A good number of Galleries were visited, along with Glasgow School of Art, the Royal Yacht Britannia and Dumfries House – the stately home saved for the Nation largely thanks to Prince Charles’ loan. 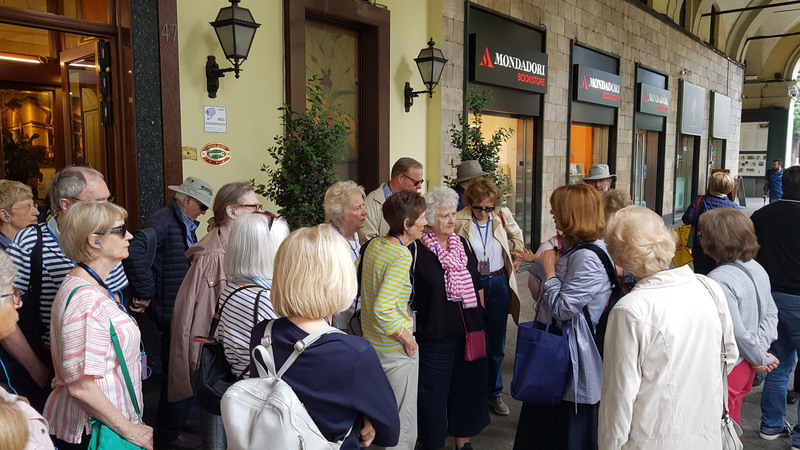 Twenty four members enjoyed a tour to Tuscany where they stayed in the spa town of Montecatini near Florence. 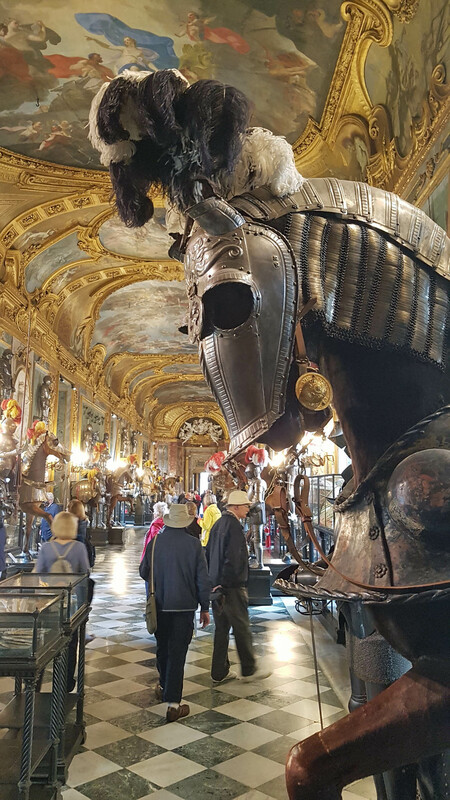 They visited Arezzo, Fiesole, Vinci and Lucca on the coast, as well as the wonderful Pitti Palace and the Uffizi in Florence. 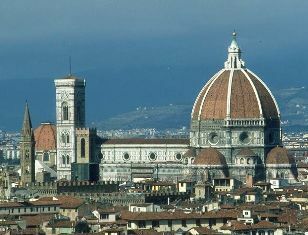 Highlights included the Boboli Gardens and the pretty town of Arezzo. 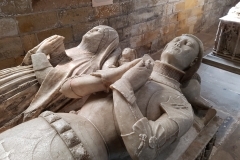 Indeed, one Member was heard to say that she was astonished at how many euros she returned with; ‘We were obviously expected to enjoy the art, not go shopping!’.Thanks go to Doreen Macaulay, our former Vice Chairman and former Visits Secretary for liaising with the Travel company. 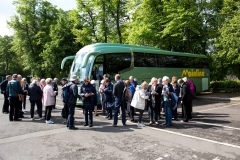 On 3 September eighteen members and friends set out for a five day trip to St. Petersburg arranged by Saville Tours. We were based at the Hotel St Petersburg in rooms which gave everyone a magnificent view of the Neva river, the palatial buildings on the opposite bank and the cruiser Aurora which allegedly fired the shot that started the October Revolution. 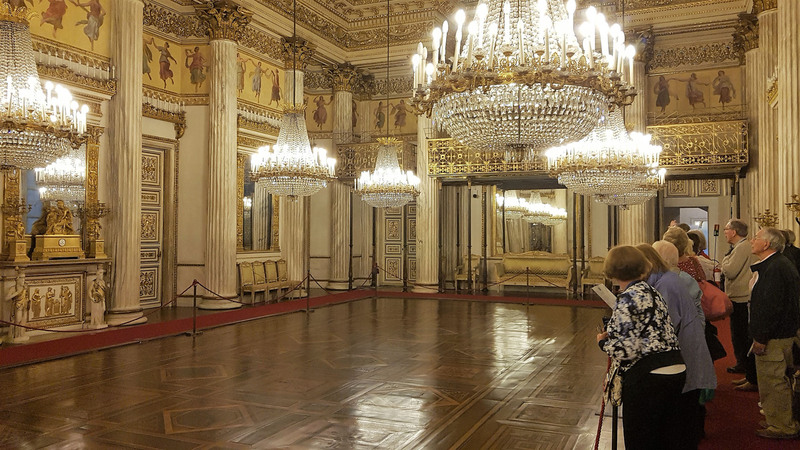 Our tour included both the buildings within the city – the Hermitage, the Peter and Paul Fortress, the Russian Museum and St Isaac’s Cathedral – and the nearby palaces of Peterhof, the Catherine Palace at Tsarsloe Selo and the great Palace of Pavlovsk. 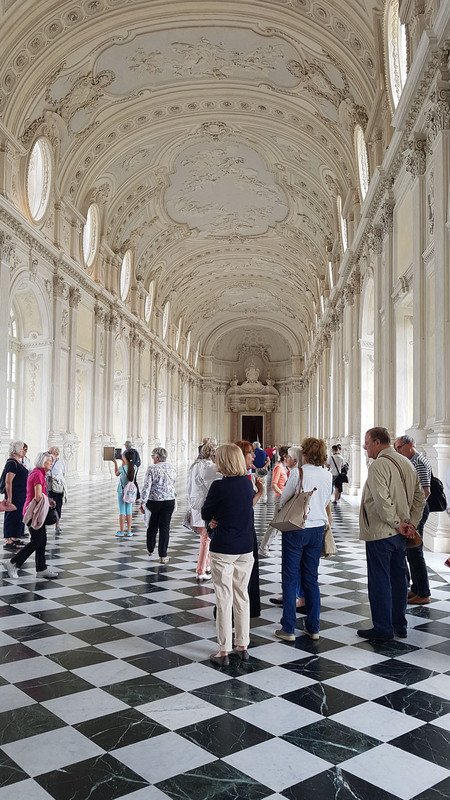 The size and opulence of the buildings and the range and quality of the works in the Hermitage impressed us, particularly in view of the devastation inflicted on the city and the surrounding area during the 900 day siege of 1941-1943. 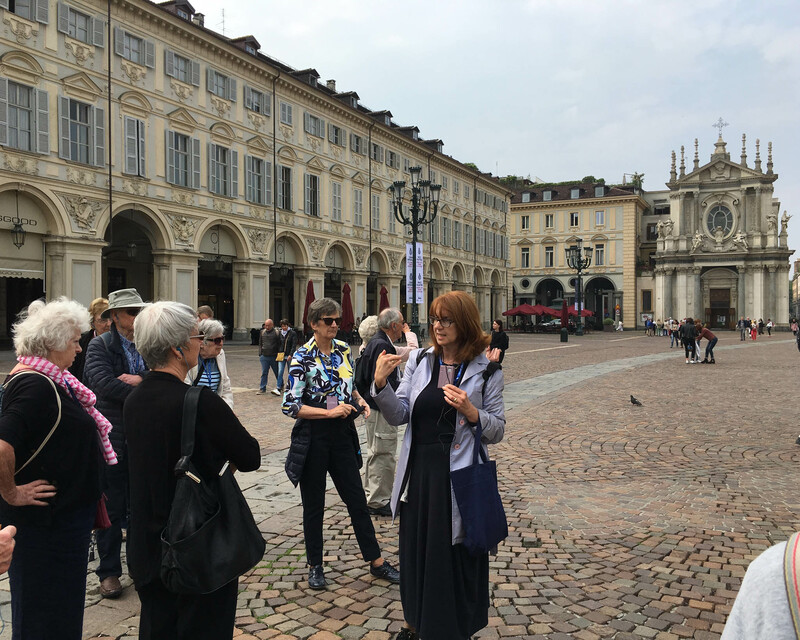 The enjoyment of our visit was greatly enhanced by our excellent tour guide – Alla Boromykova – whose comments on social and political history from Rasputin to Putin provided essential background to what we saw.